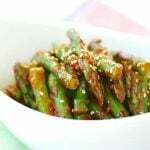 This recipe is a country style vegetable side dish. It’s simply seasoned with doenjang, Korean fermented soybean paste, hence the name doenjang muchim (된장무침). 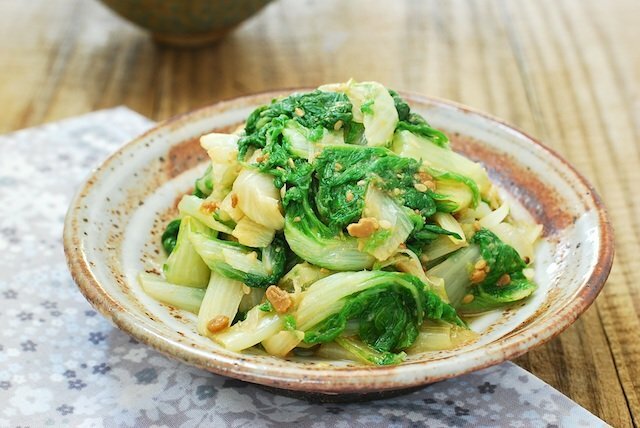 Young cabbage called putbaechu (풋배추) or eolgari (얼가리) is one of the vegetables commonly used for this dish. 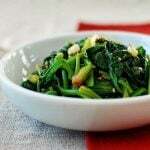 Often, I also use napa cabbage, baby bok choy, spinach, or kale (or baby kale). 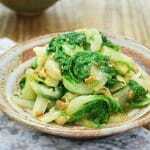 Any other green leafy vegetables would also work. Just remember to adjust the blanching time. 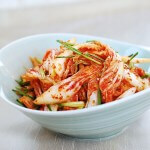 You can add a little gochugaru (Korean red chili pepper flakes) or gochujang (Korean red chili pepper paste) to make it a bit spicy or sweeten it with a bit of sugar. I like to keep it simple and savor the unique, deep flavor of the doenjang. 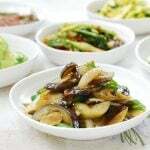 We enjoyed this side dish for two meals this week – first with bulgogi and then with bukeoguk next day. 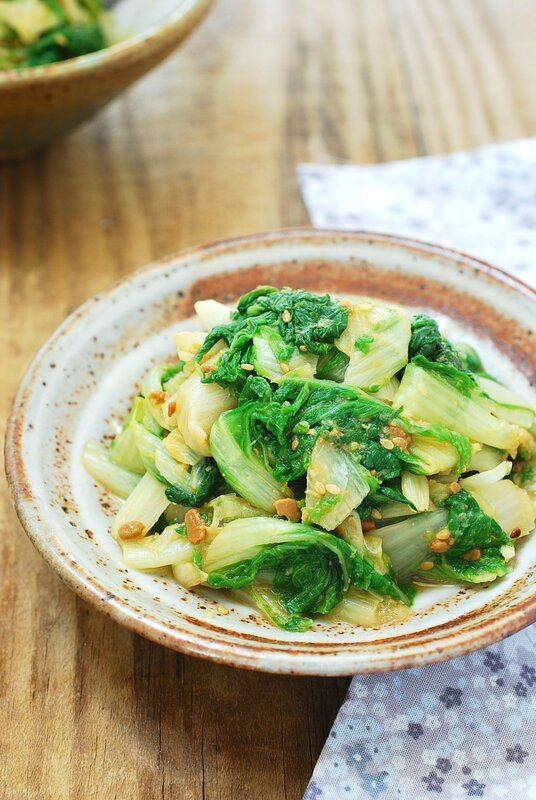 a delicious Korean side dish made with young cabbage seasoned with doenjang (fermented soybean paste)! 2 bunches young cabbage putbaechu (about 10 ounces each) - See note for substitutes. 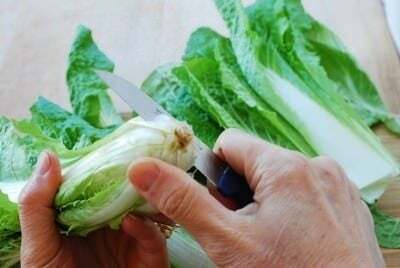 Trim off the roots from the cabbage. Wash thoroughly until there is no sand in the water. Bring a large pot of water to a rapid boil. Add a tablespoon of salt. 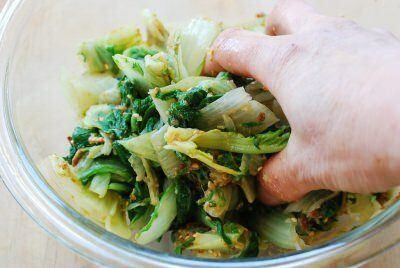 Blanch the cabbage until the white parts turn soft, 4 to 5 minutes. 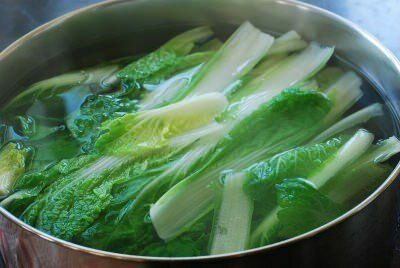 Remove the cabbage from the pot and shock in cold water to stop the cooking. Drain and squeeze out water. Cut into 2 to 3-inch lengths. Add the remaining ingredients and mix everything well by hand. Let it sit for 10 to 20 minutes before serving for the flavor of the seasonings to seep into the cabbage. 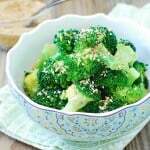 You can also use regular napa cabbage, bok choy, spinach, or kale (or baby kale) for this recipe. Adjust the cooking time and seasoning depending on the vegetable and the amount you use. I am Monica from Indonesia..I found your website when I searched for mandu dumpling. But I was interesting more to putbaechu doenjang muchim. It look so simple and easy to make. 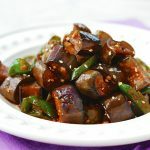 I have tried your recipe, but I couldn’t find Korean fermented soy bean here, so I use salted soy bean instead. What do you think? will it be the same taste if using salted soy bean? 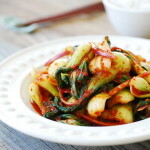 I posted this recipe on my blog and link back to Korean Bapsang. 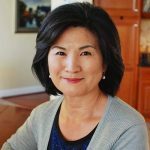 Thanks for this recipe and thanks for sharing many Korean foods recipes..
Hi Monica – Thank you so much for trying out my recipe and linking on your blog! I’m not sure what salted soybean is, but my guess is that the flavor will be quite different because Korean fermented soybean paste has a distinct, pungent flavor. Nothing wrong with that as long as it tastes good with the seasoning you used. Let me know how other recipes turn out for you if you try. Thanks! Thank you….I also used it on some zuccuhni and it was great. 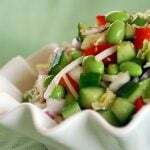 I’m so so excited, and looking forward to cook all this simple and healthy foods, I love vegetables and therefore thanks for sharing your recipes. You’re welcome! And thank you! Hope you enjoy my recipes. Hello! 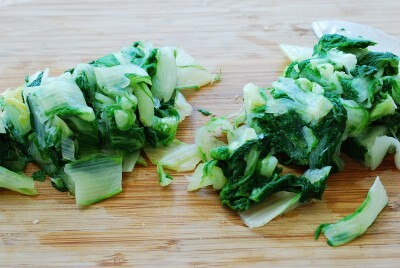 My favorite vegetable is napa cabbage and I am looking for a new way to make a big batch of it so I may eat it often. How long will this last in the refrigerator with and without the fermented soybean paste? If it’s seasoned, it should be okay for 4 to 5 days. 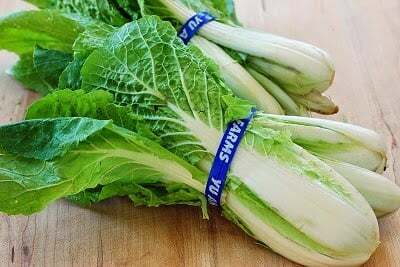 Longer for unseasoned boiled cabbage, maybe up to 10 days.